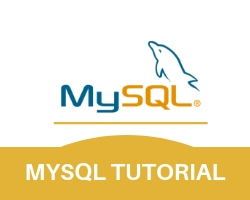 MySQL SELECT query may display the thousands of records from the database. TO show these thousands of records in a single page is not possible. for that purpose we use the concept of MySQL pagination. In Mysql pagination we divide results into many pages.Basically it is the method of showing somewhat lesser results on page instead of putting them all together on a single page. Suppose there are 15 records in a table. 5 records on each page are displayed by using pagination. displayed and the previous 5 records will get removed. and other is Limit variable which is basically the number of records on each page. FOUND_ROWS() function return the number of rows from the table in the absence of limit clause. Select records from userinfo table(Total records are 12). show 5 records on each page. In display.php we have included the paginate.php and the results fetched by it are shown in a tabular form. The records in the result variable are fetched by mysql_fetch_array() function which is put in a while loop to display all records. The information fetched by the display function is subdivided into pages and each page contain maximum of 5 records.